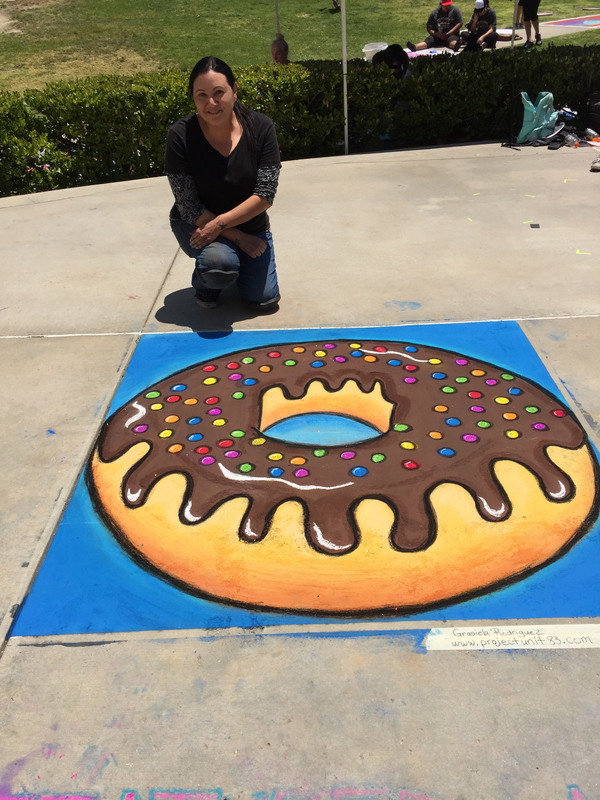 Last week I had the privilege to create a chalk demo at Martin Luther King High School in Riverside, CA for their annual Chalk Day. 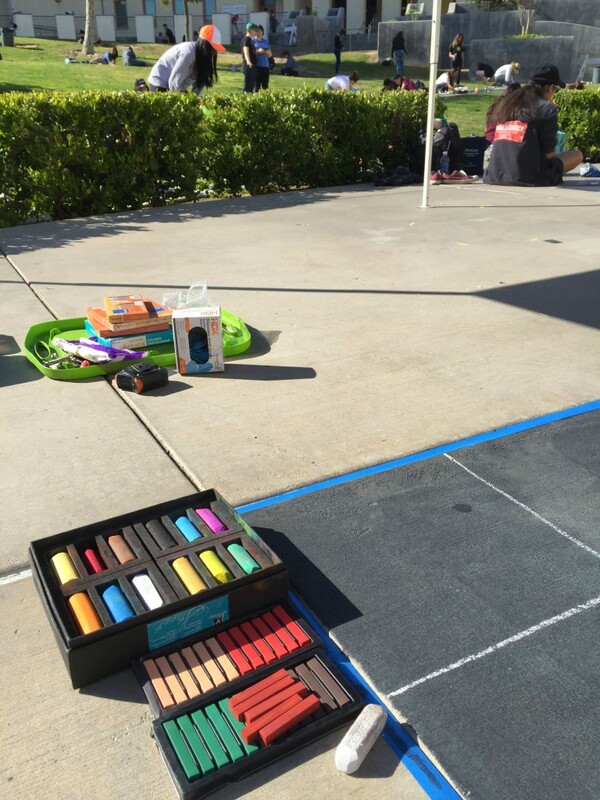 Basically every year the kids can sign up and the lucky ones who get accepted to participate can spend the day out of their normal class schedule and create a chalk square all day. This is one of the best ways for a High School to incorporate art into their curriculumn and inspire students to become future artists. I had so much fun, I created a chocolate donut. 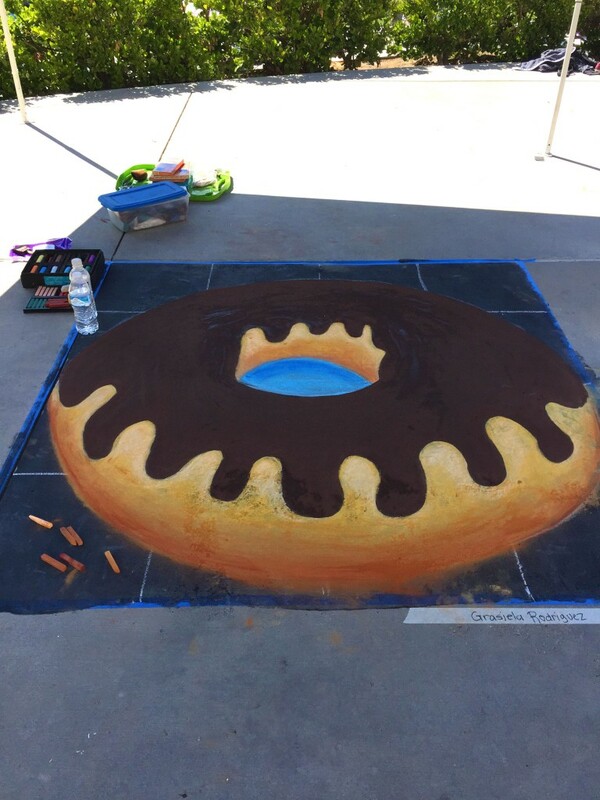 This is my demo for the kids at Chalk Day, a chocolate donut! Starting the demo, you can see the kids in the background starting their own chalk squares.